It almost felt like a compensation for the previous garbage as it sort of have a bit of similarities – the same actors playing the protagonist and antagonist, both characters skilled with traditional Chinese kung fu who, at the end, go head-to-head on a busy road which no moving vehicles are curious enough to stop or even slow down to see what’s going on. 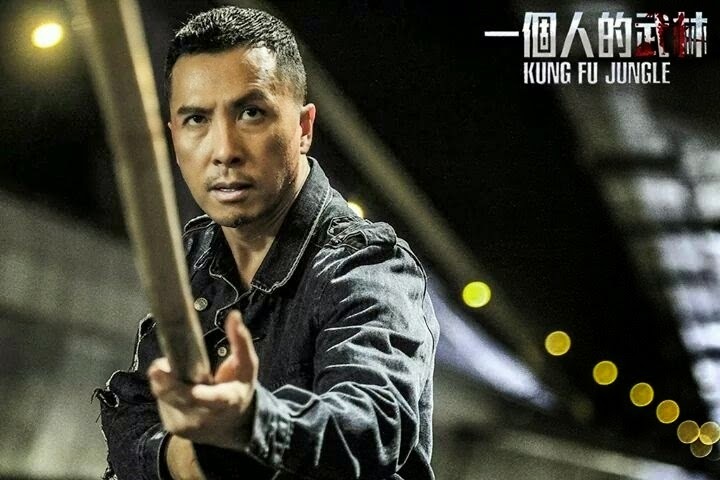 Unfortunately, even with Hong Kong companies and actors involved in this partial China production absent budget problems, Kung Fu Jungle is still far from being an awesome Donnie Yen martial art flick that fans would hope to see. But considering how much his standard has kept dropping in the past 3 movies, we probably should no longer be surprised when his new film doesn’t impress. Seeing his evil-looking smile in the trailer, I thought we’re going to see Donnie Yen playing a twisted anti-hero who’d trick his way out of prison to go on a gritty killing spree using his deadly martial art skills while hunting down his arch nemesis. But sadly, no. Quite the opposite, actually. Yen plays a modern day Ip Man named Hahou Mo, who’s a former martial artist master from Foshan turned convict after accidentally killing someone in a sparring challenge. When it’s reported that a mad man named Fung Yu-Sau (Wang BaoQiang) has been challenging and murdering top kung fu masters with his bare hands, Hahou decides to offer Detective Luk Yuen-Sum (Charlie Yeung) help to catch him, with a condition that he is freed from prison. Although the story is slightly more refreshing than Special ID‘s, the narratives are almost just as uneven, acting is poor and the dialogues are cheesy. But we should be thankful that the Cantonese dubbing isn’t as annoying. The director and co-writer, Teddy Chan (Bodyguards and Assassins, The Accidental Spy), should’ve cut down the pointlessly boring police operational scenes and just go straight down to the action and the main characters. Too much time is shockingly wasted on that and unnecessary flashbacks of even sequences that are just shown a few minutes ago. While the tone of the entire film is more serious and lacks humour, some scenes are just too illogical, and that might make it hard for the viewers to take the film seriously. None of the characters are developed properly enough for the audience to care. 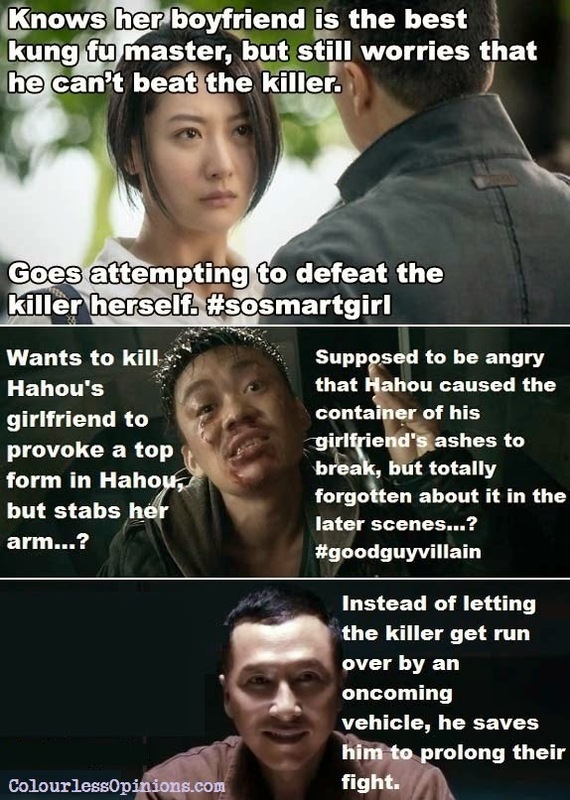 There’s vague to no explanation to why the villain Fung Yu-Sau is so obsessed with being the number one kung fu practitioner, why he strongly thinks that martial arts is meant to be used for killing, and why he wants to challenge Hahou Mo in top form but not the other masters who have also retired and stopped training for at least 3 years. The protagonist’s ambitions of being the best master, and his romantic relationship with his beautiful martial art school junior, Sinn Ying (Michelle Bai Bing), are very underdeveloped as well. This gives the audience minimal emotional attachment to sympathise or care for any of the characters at all. Tiresome cliches are thrown around into the film as well before forcing in a moral message as the epilogue, one that’s not convincingly or even clearly conveyed before the ending. For all these flaws, guess there’s no one to blame other than Teddy Chan. The film finds a lot of excuses for the characters to fight, but the action sequences, although quite decent, are not satisfying and it’s hard to tell why. It could be either the choreography (which Donnie Yen had nothing to do with, he was only one of the action directors), the cinematography, the unrealistic premise of Kung Fu in the story (with horrible CG), or maybe just because most of the sequences are simply too short. Fung Yu-Sau fights 4 martial art masters prior to facing Hahou Mo, each specialising in different disciplines – boxing, kicking, “grappling” (more like finger-gripping) and weapon-fighting, but the action fails to express the moves and techniques as impressively and excitingly as they probably hoped. 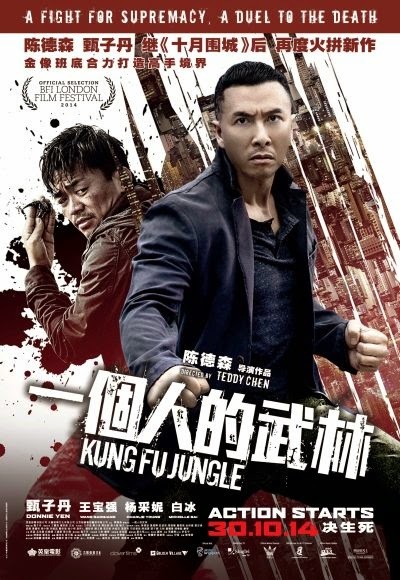 UPDATED (2/11/2014): Wang BaoQiang’s role as the handicapped antagonist is perhaps most demanding one here as he has to act the bad, sad and mad but skillful kung fu-obsessed practitioner who has a leg that’s shorter than the other, and if I’m not mistaken, he actually has more fight scenes than Donnie Yen in this film. But nonetheless, any martial art sequences that feature Yen would usually not disappoint, but it’s the production in overall that’s the problem. Also, I personally prefer to watch fight sequences that are more realistic and relatable like the ones in Flash Point and Special ID, where there’s clear demonstration of MMA in real life-like situation performed by Donnie Yen, and in Indonesia’s The Raid: Redemption, a gritty and brutal action thriller featuring pencak silat, an Indonesian traditional martial art. Posters and footages of some of the classic Hong Kong kung fu movies are briefly shown during the closing credits, indicating that the film may be a tribute to the classic Hong Kong martial art films that focus on different unique traditional kung fu fighting styles. This intention should be appreciated, just too bad the film itself wasn’t done with an approach to compel and intrigue the audience about the specialisation of each martial art discipline. But then again, I can see that there’s a huge possibility that more general audience might enjoy this Donnie Yen movie more than I did this time. Censorship in Malaysia: Nothing’s noticeably censored. Second opinion: My girlfriend said it’s amazing how she could fall asleep while watching this even when she actually needed to go to the loo. Verdict: I would watch Ip Man again. I would watch Flash Point again. I would watch SPL again. But I definitely won’t want to watch this one or any of the past 3 Donnie Yen films ever again.